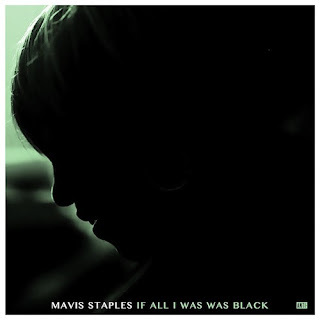 When Mavis Staples was musically active at the heart of the Civil Rights era, she probably didn't envisage having to make this album in 2017. Regardless of the cause or mission, this icon of the gospel-soul world would have always found a suitable outlet for her talent. Ultimately, songs can only play a small part in repairing society’s ills, but when you have Mavis Staples in unison with Jeff Tweedy, the healing process is made a touch easier. IF ALL I WAS WAS BLACK joins a lengthening list of albums dedicated to voicing a strong opinion against the wrongs afflicting the world and ensures the power of song carves its niche in the discourse of the day. This album is the third collaboration between Staples and Tweedy, with the Wilco frontman being the architect of all ten songs to adorn the record. The Grammys have acknowledged their previous efforts to varying degrees and it would be no surprise if accredited acclaim came knocking again. The sound comes across as a slick and moving body of work with the guitar work forming the spine for the vocals to prosper. This latter element shows no sign of deterioration for a vocalist closing in on an octogenarian existence. Rock ‘n’ soul as a combined entity may have had its heyday in Memphis and Muscle Shoals studios in the late sixties, but the flames of Stax and Fame shine brightly throughout this record. The focal point of this album is likely to be the title track, which rolls out as a classic seventies dance number, complete with backing singers and packed to the hilt with the message of a call for love. ‘If All I Was Was Black’ sits at position two in the running order, following the scene setting opener ‘Little Bit’, which sets down a marker by referencing a shot kid. As the album races to its concise thirty-five minute finishing line, the theme zooms out from the specific and takes a more philosophical view on issues of race and hate. Eventually, this record settles on a call for unity by healing the divisions; a notion best portrayed in ‘Build a Bridge’. A track itself built on the theme of ‘all lives matter’. Throughout the duration, pivotal moments frequently pop up including the smooth duet between the pair on ‘Ain’t No Doubt About It’ and the defiant sentiment expressed in ‘No Time For Crying’. ‘We Go High’ heeds a call to ensure the forces of good maintain the moral ground, while ‘Try Harder’ carries the message of perseverance. Perhaps the most poignant song acts as the retrospective generating closer in ‘All Over Again’, a low key acoustic piece to add to the sound’s diverse appeal. One assertion from many listens to this record is that it lands a soft punch in the protest stakes. This could be by pacifist design to enlist a degree of moderation to the brigade. There is no denying its accessible nature can spread the force of good and from a pure artistic viewpoint, it lands on the listener as a trademark blueprint of collaborative American roots music. There is the danger of IF ALL I WAS WAS BLACK falling only into the domain of the converted and maybe if there was a more forceful track then barriers could be broken. Primarily Mavis Staples, in conjunction with Jeff Tweedy, has recorded an album to put a late seal on a legacy that was probably already locked in. It does move the cause forward and that alone makes this a record to engage with.